Cydney Rax's latest novel, My Sister's Ex, hits bookstores next week. It sounds like she will have another hit on her hands. The title says it all, so no need to go into all the particulars that you can find on the back cover or on her website. Cydney's previous three novels are My Best Friend and My Man, My Daughter's Boyfriend, and My Husband's Girlfriend. Love the branding. Anyway, summer may be winding down... but there are plenty of nights for hot summer reading. Check out one of my previous blogs on Cydney Rax's novel, My Best Friend and My Man, which also summarizes her other work. First Wives Club. The Musical. Currently rehearsing in San Diego, The First Wives Club may soon be appearing near you. Next step, Broadway. Stars one of our favorites, Sheryl Lee Ralph. Here is the L.A. Times story @ First Wives musical. For those not familiar with the premise of the story, check out The First Wives Club novel by Olivia Goldsmith. Three wives find themselves replaced by younger women and bond together in their efforts to get back at their former husbands. Quite fun story. Sheryl Lee Ralph has been an advocate and spokesperson for issues related to HIV/AIDS awareness, the LGBT community, and other social issues. In L.A., she has organized and headlined the Divas Simply Singing show, a fundraiser for HIV/AIDS awareness. Looking forward to the musical when it hits the stage. I lost a literary role model today, with the death of E. Lynn Harris. Below is a blog I originally posted on June 17, 2007, about how his work inspired me as a young adult and motivated me to consider a career as a novelist. We definitely lost a trailblazer today. fs. One thing that many of my friends and I have in common is that the book Invisible Life by E. Lynn Harris affirmed who we were as young men coming of age. Or at least gave us the clue that we weren't "the only one" dealing with sexual orientation and coming of age. Many of the stories are the same, no matter what part of the U.S. you visit. Either "discovered" the book by mistake at a library, bookstore, street vendor. Or had a female friend refer the book to them to read. Or overheard someone talking about it, and then had to figure out a way to get it. For me, I was a h.s. senior or college freshman, on break from school and working at a record store in Northland Mall outside Detroit, and saw the book cover while perusing the mall bookstore during a work break. Bought it, stuck it in a bag of other purchases (because my co-workers, other teenage boys, were nosy like that -- duh a book? what kind of book? ), and snuck and read it at night in my room. I talked about it in a Backstory interview how Invisible Life, and other work by then-emerging black writers in the early/mid 90s, spoke to me and my life experience in ways that I hadn't seen in books by black people. I often revisit Invisible Life, re-reading it just to remember the magic of Raymond's life, his process with his sexual orientation. It affirmed that I was OK being who and what I was/am. That we didn't have to lead an invisible life because of who we are. Hope you get to revisit Invisible Life this summer. And, if not the book, revisiting the memories, innocence, and how exciting you saw your emerging life could be. Hope it was a good weekend for you. 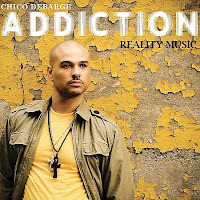 I bought the new Chico DeBarge cd on iTunes this weekend. It's called Addiction. I'm loving it 150% and thought you might like it too. I did a lot of my weekend writing with it on my earphones, and got a lot done. Some good, grown folks soul music. 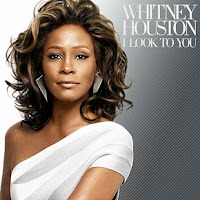 The new CD by Whitney Houston comes out September 1, 2009. Wednesday, July 15 is Jackie Washington Day. Oh Yeah, Jackie Washington Day. Jackie Washington Day... Jackie's Back. Or you can rent, purchase, or find online the cult classic film, Jackie's Back! My day job is in higher education/student affairs, so of course I'm drawn to novels that reflect life in academia. Dear God in heaven, there is enough material to draw on for dramatic stories. These novels tend to be satirical, biting, and quite humorous in looking at campus dramatic situations. Anyway, one that I've read that I absolutely can recommend is Moo by Jane Smiley. Set in a large, state university in the Midwest, Moo has a large, sweeping cast that is interconnected in many obvious and soon-to-be-revealed ways. It was required reading for the 1st year of my grad program in higher ed... and I'm so glad it was. I've returned to the novel again and again. Two new novels that have come to my attention, and will be added to my to-be-read list. Admission by Jean Hanff Korelitz, focuses on an admissions officer who works at Princeton, and whose decisions to admit or decline can make or break students lives. I can imagine a tough skin is needed for admissions folks at selective and elite universities. It Will Come To Me by Emily Fox Gordon, focuses on a Texas university, and a couple where the wife has put her dreams on hold to follow her husband wherever his next academic career move takes him. Washington Post review. Others I've heard of, but haven't picked up include I Am Charlotte Simmons and On Beauty. Know of any other college novels? Any that deal with primarily students/staff/faculty of color? I'm always looking for new reading material for myself, colleagues, or students. Spent the weekend by the water in Long Beach watching fireworks, at the Aquarium of the Pacific, and eating some old fashioned bbq. Speaking of waters, you should pick up Carleen Brice's new novel, Children of the Waters... a well-written tale of love and mixed-race family drama. Of course, that's the Cliff Notes summary... the book is so much more, so add it to your summer reading list. I finished reading the novel Push. It was an enjoyable, yet disturbing (the story, not the writing), novel. Can't wait to see how the movie version interprets the story. On my Facebook page Friday, I wrote that Friday's episode of Young & The Restless was sooooo darn good. It was a classic Friday cliff hanger, which brought back Phillip Chancellor III after 20+ year absence... Then I realize, I sat on a writer's panel last year with Thom Bierdz, who portrays PCIII... and remembered my brush with fame. Got some writing done... that about wraps up my weekend. Went so darn fast. Year's more than halfway over. That's life, huh? At The Beach L.A., otherwise known as Black LGBT Pride Weekend. Always a treat, and always fun catching up with new and old friends.